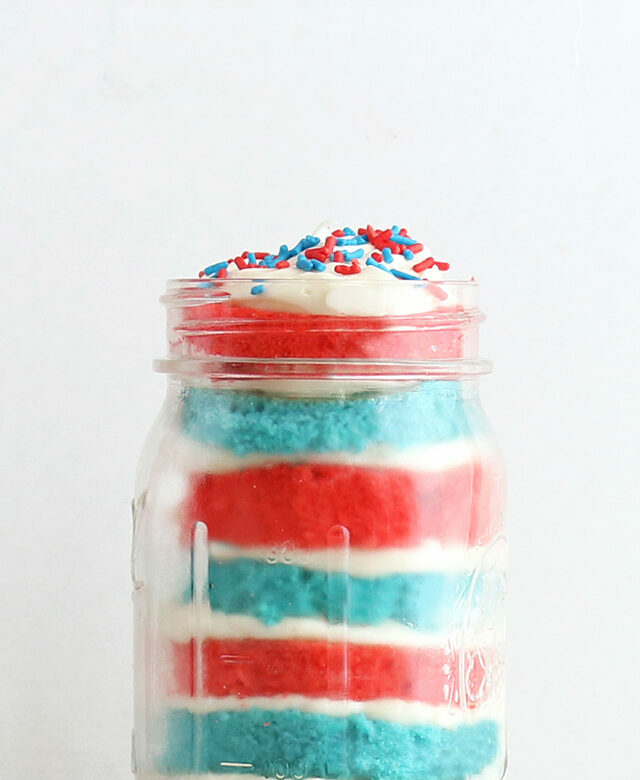 After posting the first part of my patriotic July 4th roundup HERE, I realized I wanted to throw two new ideas into the mix as well – the first for a red, white, and blue Star Spangled Cake, and a Patriotic Cake Cup for the other. See below for a quick overview on the directions. 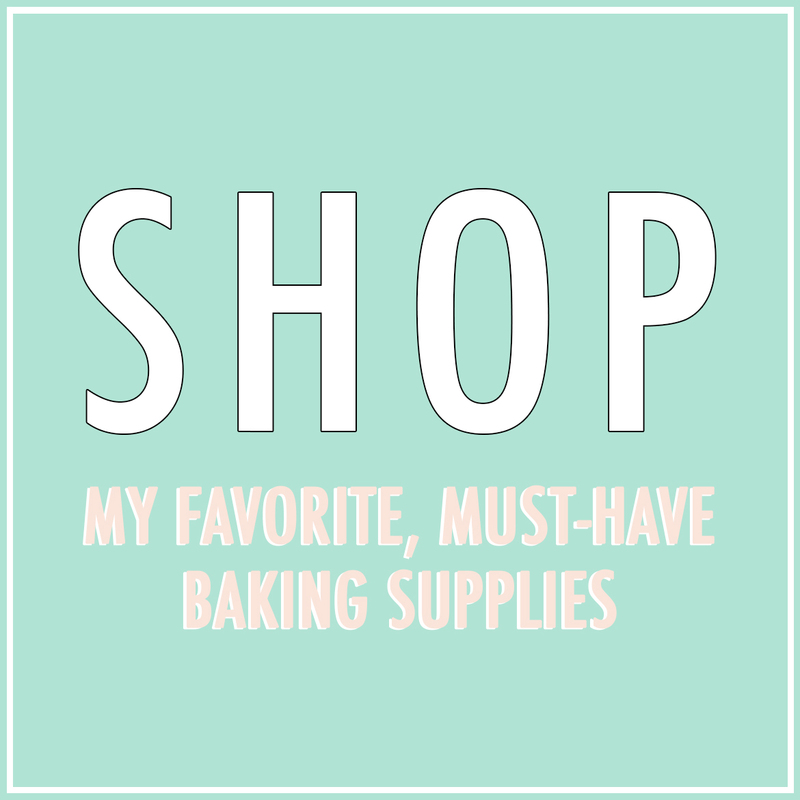 And before all of you Americans checkout for the holiday weekend, make sure to click through the links at the bottom of the post to browse a few of my favorite 4th-friendly DIY projects and recipes from the blogosphere. Just as a warning, be prepared to be bombarded you with so many ideas for your holiday parties this weekend! Star Spangled Cake: For this cake, first frost a cake with vanilla buttercream (or pick one up from the store if you’re short on time!). Whip up a batch of vanilla buttercream and divide it into 3 bowls. Add red dye to one bowl and blue dye to the second bowl, mixing each until the color is combined. 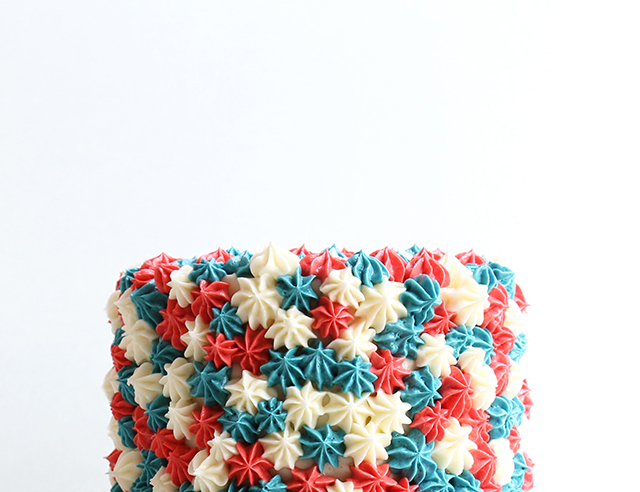 Place each of the three frostings in its own pastry bag (or ziplock bag) with a star tip, and sporadically add those patriotic buttercream stars to your cake! Patriotic Cake Cup: Prepare a vanilla cake batter to your liking (either with a box recipe or your own). Divide the batter into two bowls, dye one bowl of batter red and the other blue using food coloring. Bake cakes in separate pans. Once cakes have baked and cooled, use the top of a jar to cut out circles of cake. If your cake is thick, cut each circle so that it’s 1/2 – 3/4-inch high, then layer the cake circles in between vanilla frosting inside your jar, alternating colors. Top off with frosting and sprinkles, and don’t forget to serve with a spoon! These DIY Fourth of July Ping Pong Paddles (and free downloadable stencil) from Desiree Dreszer are PERFECT. Just perfect! Sugar & Cloth‘s DIY Flamingo Ring Toss is a perfect addition to the backyard for summer entertaining. Add a couple star stickers to the flamingos or use red, white, and blue pots to make them Fourth festive. Looking for a delicious dish to take to a potluck this weekend? This Summer Salad from DesignLoveFest looks de-lish! These 4th of July Treat Cones from OhHappyDay are great for the kiddos!